A military career man, distraught over the murder of his daughter and the subsequent release of her killer who is protected by 'diplomatic immunity,' resigns from the service to pursue the psychopath. No one will help him - and no one can stop him. 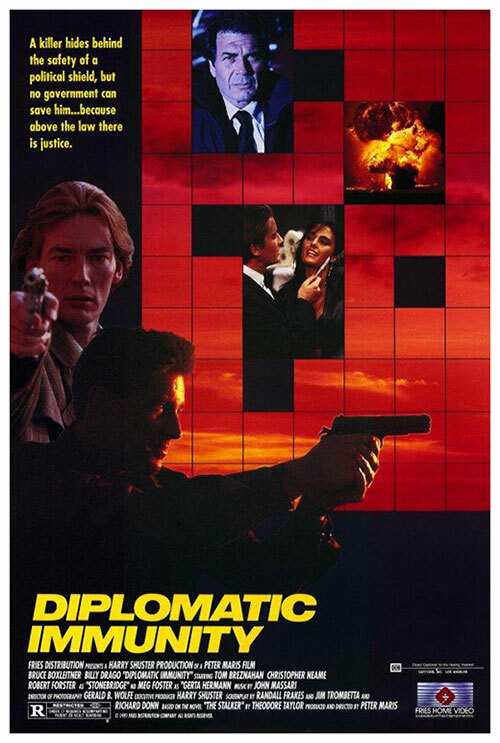 4 Response to "Diplomatic Immunity (1991) Peter Maris"
I had forgotten about this one! Thanks for posting it, NLZ! Been looking for a long time for a decent copy of this one!